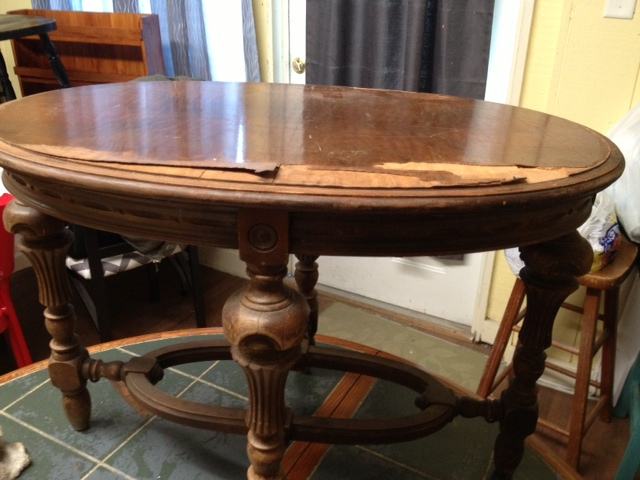 Before pics of coffee table – You can see how the veneer on top was damaged and had to be removed. 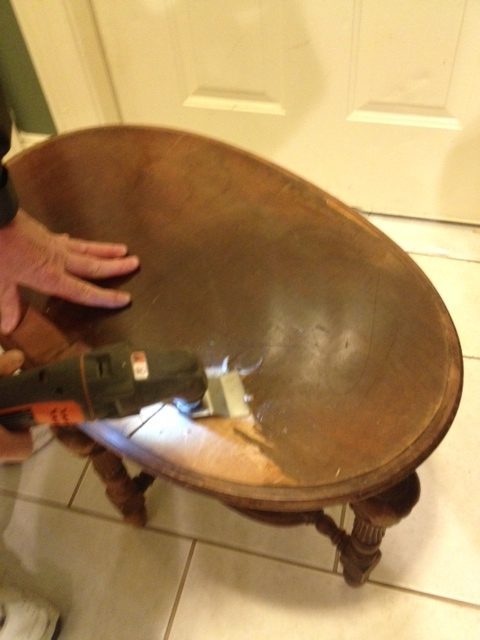 It was also in need of new screws and the glass on the tray had to be replaced. 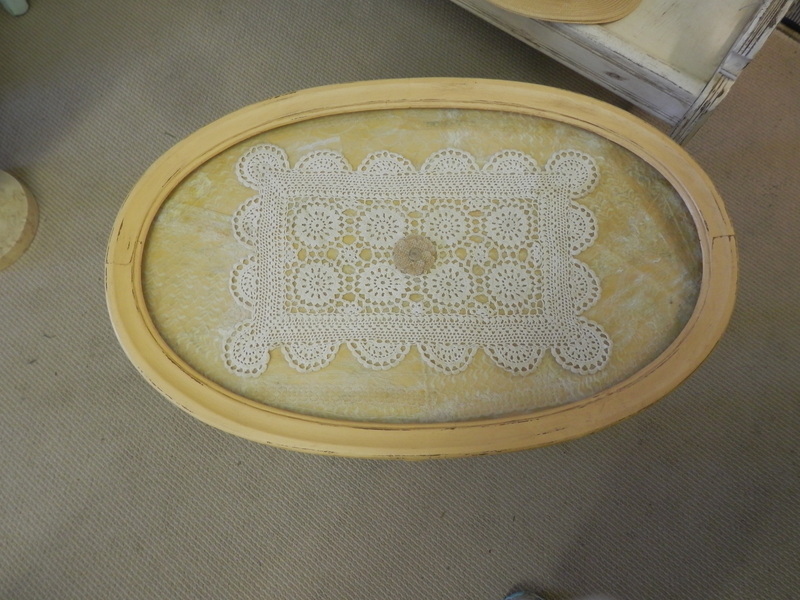 After removing the veneer the top was a little rough so I decided to decoupage an assortment of lace. Then I placed a vintage crocheted doily on top. 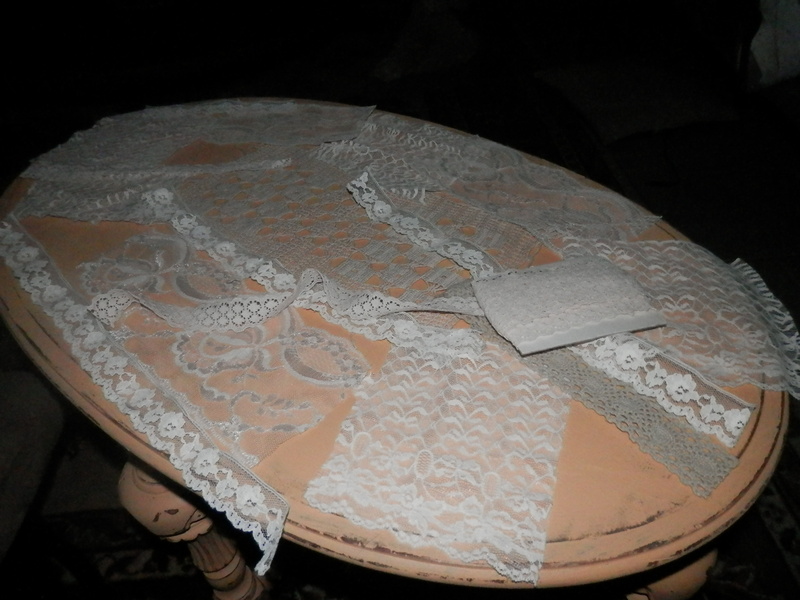 The doily can be removed and other items could be used instead such as vintage pictures or postcards. I am leaving that up to the buyer. 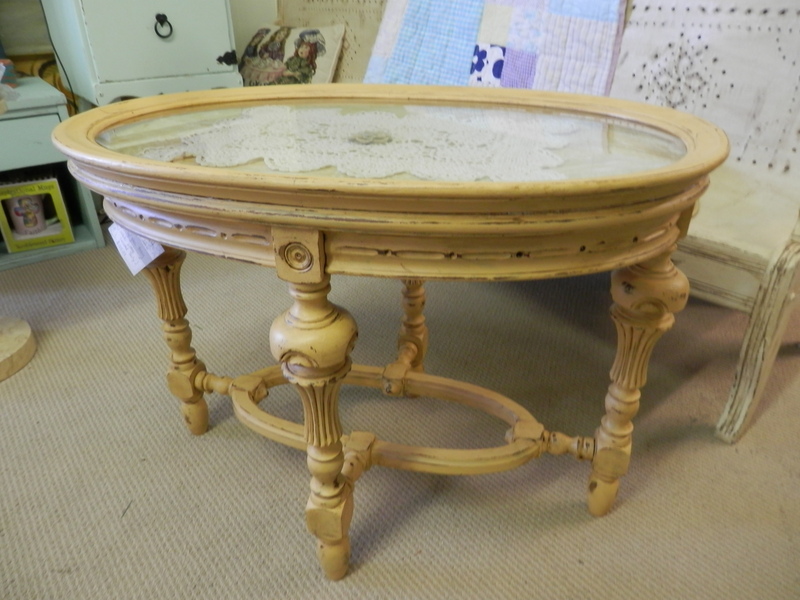 The glass tray sets on top of the table and can be removed to be used as a tray or it could be glued on permanently. 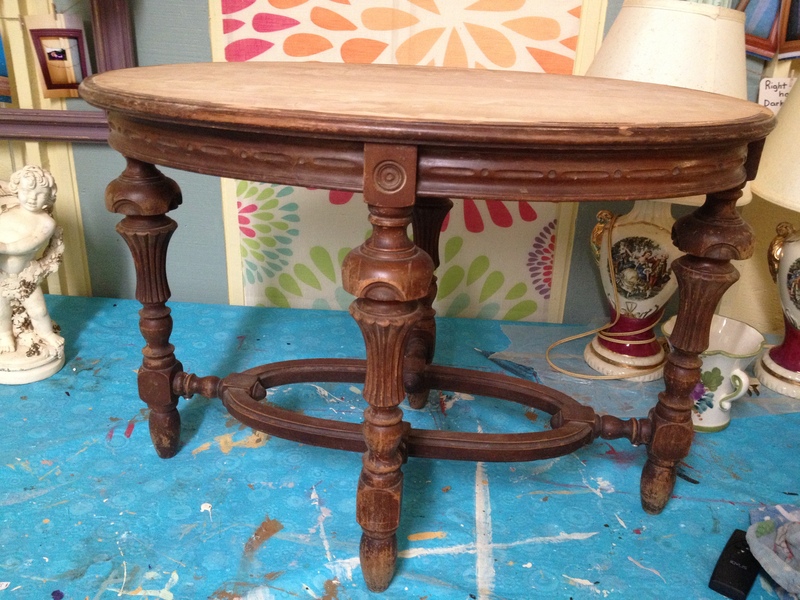 This unique coffee table is priced at $125.